Sign-up to receive our e-newsletters for new products, specials and more! I founded Shelton Jewelers in Albuquerque in 1984. As the store has grown, it has been my goal to emphasize ethics, education and customer service. These tenets are the driving forces that I believe show through in all that we do. In our business, in order to be ethical we have to be educated. That is why we employ one Master Gemologist Appraiser ASA myself, two Certified Gemologist Appraisers AGS Graduate Gemologists GIA. We invest in continuing education for our staff because I believe expertise is essential to customer service. Not to mention we are title holders of the elite American Gem Society, where we are tested and re-accredited annually. We have the equipment on site to help you understand all of the factors that determine a gems value. Most importantly we are committed to promoting the highest ethical standards in order to give you confidence and satisfaction. I’ve been very fortunate to grow up in the gems and jewelry industry. Having a dad in the business as a certified Master Gemologist has allowed me to learn from the best about all different gems and mineral species. 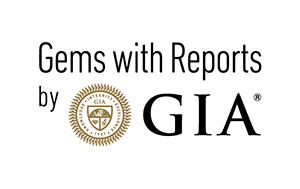 That foundation has been both instrumental in my continued education through GIA courses, as well as helped cultivate my professionalism within the world of gemology. For the past 13+ years I’ve handled the marketing and advertising for our family business. Its been a privilege hosting our annual customer appreciate event where we celebrate some of the best customers anyone can ask for. There is nothing more rewarding than seeing our clientele as excited about their jewelry as we are. I have lived in Albuquerque for all of my life. I have education from Albuquerque Academy as well as Del Norte High School. Proceeding that I attended UNM for two years where I received my associates in physics and electrical engineering. I got into the jewelry industry during my high school years and have been doing it since for almost 45 years now. I have taken GIA jewelry courses in setting and fabrication. I also have a certificate from Jewelers of America which is known as a Master Bench Jeweler Certification. I have been fortunate enough to have the opportunity to be featured in a number of design competitions and won. When I am not working you will find me enjoying the great outdoors golfing and hiking. Originally from California my formative years came from right here in Albuquerque. Although some initial jewelry experience came in high school, formal jewelry training was received thru the Gemological Institute of America. Further training was received at GRS in Emporia, Kansas including a grand masters program. My love of the outdoors makes Albuquerque the perfect place to make fine jewelry. On days I am not on the bench you will likely find me skiing, golfing, or fishing. As a member of Albuquerque Social Giving Club, I have the opportunity to pay it forward to the community that has supported my love of making Jewelry for many years. I’ve been part of the Shelton crew for over three years and am proud to say that I have perfected my customer service skills over the course of my entire working career. Amid my time with Shelton’s, I have been fortunate enough to cultivate an unbelievable clientele, from whom I have learned as much if not more than I have about the fascinating gems that tempt me every day. In addition to being a member and maintaining the title of Certified Sales Associate through the prestigious American Gem Society, I have completed the Diamond Essentials course through the Gemological Institute of America and have shown an aptitude for color grading. As an introvert and psychology enthusiast, I have thoroughly enjoyed the relationships I have built with my clients and appreciate all they have shared with me. When I am not drooling over jewelry from the hours of 9:30 to 5:30, I like to maintain personal advancement reading and practicing languages, and planning my various travels. I have been in the jewelry industry for about 34 years in numerous locations. I have been employed here with Shelton for seventeen years. I am a certified sales associate with the American Gem Society. I enjoy continuing to work in the jewelry industry for the reward of helping customers satisfy there every wish. I am an active member in my church, Metropolitan Community Church of Albuquerque. I also volunteer at our local baseball teams games to help with fundraisers for local charities. A few of my hobbies are Bowling on a league every Sunday night, camping, and fishing. Thirty three years ago, I came to Shelton Jewelers for my jewelry purchases and repairs. So, when Eric Shelton asked me nearly fifteen years ago to work with him, I felt honored to accept and be part of the growth and success in a family owned local business. Having Owned a retail business myself, I know how important it is to have a good team building your business. It has been so fulfilling to learn the other side of the jewelry business from being a satisfied customer to educating customer and helping create a wonderful experience for them. The customer’s make my day by appreciating what we can do for them from checking, cleaning and repairing their jewelry, to the challenge of finding just the right piece of jewelry for that special person in their lives or for themselves. I have been in the jewelry industry for over 25 years and managed a jewelry store for a major chain for a number of years before coming to Shelton Jewelers 18 years ago. As a team member of a family business, I’ve learned to wear many hats. I currently have the titles of Certified Sales Associate from The American Gem Society, and Applied Jewelry Professional from The Gemological Institute of America. You will find me hunting or fishing during my time off. I have a Bachelor of Arts degree from UNM, a graduate Gemologist degree from the Gemological Institute of America, and am a Certified Gemological Appraiser with the American Gemology Society. I have worked at Shelton Jewelers for over 20 years and in that time I have met and worked with some truly incredible clients and it has been a rewarding experience. I love to dance and teach ballet in my spare time and always look forward to traveling to new and interesting destinations. Growing up in the jewelry business I always admired the trade. When I was young I would be in the shop looking over the goldsmith’s shoulders seeing how they made jewelry. I fell in love with the art and craft of making fine jewelry. After high school, I attended various jewelry making schools such as the Revere Academy in San Francisco, California, New Approach School for Jewelers at the Gemological Institute of America in Carlsbad, California. Learned CAD/CAM in Las Vegas, Nevada. Studied advanced micro pave with master stone setters Jura in Utrecht, Netherlands and Alexander Diamond Setting School in Antwerpen, Belgium. I credit most of my skills to on the job training with master jewelers. I love making fine jewelry and am blessed to be working with such a great crew. With my dad being a master gemologist and I a jewelry designer/goldsmith together we make a great team. When not in the design studio I enjoy the great outdoors and spending time with friends. First discovered in 1967 – the history of Tanzanite is fairly new. In fact, the name derives not from any other fact than when Tiffany and Co. in 1970 bestowed the name to the gem tanzanite due to its origin – Tanzania. Typically a bluish-purple color, tanzanite is a variety of the mineral zoisite and has gained popularity for becoming a more affordable alternative to sapphire. However, in order to obtain the same richly blue hue of sapphire, tanzanite must be heat treated. The stone itself is pleochroic, meaning that depending on the angle at which is viewed, it is can present varied color concentrations. Jewelry made with tanzanite should be worn with great delicacy since this gemstone is relatively soft, rating a 6-6.5 on the Mohs scale. It was in 2002 that the American Gem Trade Association declared tanzanite as their official December birthstone, and it is associated with the Zodiac signs Sagittarius (November 21st – December 21st), Pisces (February 18th – March 20th), and Virgo (August 24th – September 23rd). Due to its recent introduction to the gem market, there is little information about the lore of tanzanite. However, it is becoming one of the more highly desired gemstones, alongside the four precious stones. Precious topaz, which is of orange color, is the conventional birthstone for the month of November. However, there are a considerable amount of other colors in which topaz is found, including blue, yellow, and pink. It is quite rare to find naturally occurring topaz of these varieties, making them highly prized among the community. The common blue colored topaz you will find is relatively common and is heat treated to produce more rich color intensity. This gemstone is also quite frequently found naturally in large formations which can sometimes exceed the weight of thousands of carats. The term topaz has a few possible derivations, including the Greek topazos, or the Sanskrit tapas, meaning ‘heat’ or ‘fire’, and is used in nearly all types of jewelry. The use of colorless topaz as a more affordable alternative to diamonds is becoming more popular as time progresses. With a Mohs hardness rating of 8, topaz is durable, but it can still be easily split, so care should be taken when wearing or handling the gemstone. When it comes to lore, it was common during the Middle Ages and amongst the Egyptians that topaz could heal physical ailments and protect one from bodily harm. Today topaz can be given as a 4th wedding anniversary gift, and is the stone for the Zodiac sign Sagittarius (November 21st – December 21st). There are numerous varieties of opal, but one thing is certain: this gem’s unique ability to diffract light makes it truly the stuff of dreams. As a mineraloid made of hydrated silica, opal is amorphous, meaning that it is without a definite crystalline structure. Opal is classified into two types, common and precious, and is determined by the way in which the silica particles are formed. When you look at an opal gemstone, you will see iridescent colors such as blues and greens which are referred to as fire. Gems with a more vibrant fire are considered more valuable. The rare Harlequin opal is highly treasured because of its incomparable pattern of defined squares with often dazzling red fire. Opals are susceptible to a condition known as crazing, which typically occurs once the gem has been transported from a relatively high-humidity setting to a much lower humidity. When an opal crazes, it develops cracks, and because of this, uncut opals are often kept within water and dried very carefully. It is a relatively soft stone, rating about 5.5-6.5 on the Mohs scale, and contains small traces of water, requiring that it be taken care of very gingerly & not kept away from humidity for long periods of time. When it comes to lore, opal is said to intensify a person’s character traits and represents harmony. It is also the birthstone for the Zodiac sign Libra (September 22nd – October 23rd). The sapphire is known for its intensely desirable, deep blue color and is within the same mineral family, the corundum, as the equally coveted ruby. While blue is among the most popular of sapphire colors, it comes in several others such as pink, purple, orange, green, and colorless, also known as white sapphire. Corundum crystallines are known for their hardness, which is rated a 9 on the Mohs scale, just below the hardest mineral on the planet, the diamond. This makes the sapphire an ideal gemstone for jewelry that is to be worn frequently since it is less prone to damage. In addition to the other colors of sapphire, the hues of blue are also varied, dependent on the trace amounts of iron and titanium found within the aluminum oxide mineral. As with many stones, heat treatment can be used to permanently bring out the depth of color and increase clarity. Gemstones that exhibit an asterism or star-shaped pattern that is reflected when viewed with a light are extremely rare and valuable. They are typically given as 65th wedding anniversary gifts. It is said that sapphires have strong ties to the heavens, angels and serenity. It is the assigned gemstone to the Zodiac sign of Virgo (August 24th – September 23rd). While the etymology of the term peridot is still in question, is it widely accepted that the Anglo-Norman pedoretés, meaning opal is the name’s origin. However, the gemstone is primarily associated with Egypt, both as it was originally one of the original sources to obtain peridot (it is now the National gem of Egypt), and historically, where it was believed that Cleopatra, who adored wearing emeralds, was actually adorned with peridot. With a rating of 6.5-7 on the Mohs scale, the peridot is rather vulnerable and can be susceptible to cracks, scratches, and extreme changes in temperature. Great care should be taken when cleaning and wearing peridot. According to lore, the peridot is said to help relieve envy and a ease anger. It is the stone of the Zodiac sign Libra (September 22nd – October 23rd). A variety of the mineral known as corundum, the ruby is considered one of the four precious stones, among them being the diamond, emerald, and sapphire – which is also a member of corundum family. There is recent debate about whether a ruby which is light pink in color should be labeled as such or given the term pink sapphire since rubies and sapphires are essentially identical except for their color. The intensity of the color, luster – which can range from vitreous to adamantine – and hardness, which is rated a 9 on the Mohs scale, has made the ruby a highly sought after and widely popularized in folklore. While it is among the harder gemstones, it is still susceptible to fractures and chipping, so great care should be taken of your rubies. Many take inclusions in the ruby as a sign of legitimacy, since synthetic rubies can be created within a lab. Derived from the Latin terms rubeus meaning ‘red’ and the Medieval Latin rubinus lapis, meaning ‘red stone’, the ruby is said to inspire intense emotion such as love and devotion, and may adorn the wearer with courage. It is typically given as a 40th wedding anniversary gift and is associated with the Zodiac sign Cancer (June 22nd – July 22nd). Pearls are attractive and compelling gems due to the fact that are created organically through a living organism such as a mussel or oyster. There are many different types of pearls, but they are generally formed in the same way: a small stone enters the organism’s shell and in order to protect itself from the irritant, the mollusk creates a calcium carbonate and conchiolin layer. After time, which can range anywhere between six months to eight years, the layers build up and become what is known to gemologists as a Natural pearl. Cultured pearls are created by transplanting a graft from one shell to another and are not considered natural. A pearl’s value is determined by several factors, including whether it is natural, cultured, or imitation. A jeweler can determine whether a pearl is natural by performing an X-ray. Other elements for judging the value of a pearl include its luster, size, and shape. Freshwater pearls which are obtained from mussels are the most popular and are rarely found in perfectly round shapes, making rounded pearls more valuable. Due to their organic nature, the pearl is quite soft, and is rated a 2.5-4.5 on the Mohs scale. They are said to bring their wearers luck and are assigned to the Zodiac sign of Gemini (May 20th – June 20th) and Cancer (June 20th – July 22nd). Typically, pearls are given as a 30th wedding anniversary gift. The emerald is a member of the beryl family, alongside aquamarine. While these gemstones are truly beautiful, it is important to note their brittleness. They frequently contain inclusions and cracks, whose visibility is often reduced by oiling the stone, and must therefore be treated and cleaned very gently to avoid further damage. While the emerald’s hardness ranges between a 7.5 and 8 on the Mohs scale, their tendency to fissure places their resistance to breaking as relatively low. When it comes to tone, gemstones that are intermediate to darker in color are given the name emerald, which is derived from the Greek smaragdos, meaning ‘green gem’. Lighter colored varieties are called green beryl, as the mineral that emerald & aquamarine originate from. Despite its flaws, and for some, because of them, the emerald has, and remains, a highly prized gem. In fact, the precious diamond has larger and perfect gems in the world than the emerald. The emerald is said to aid the wearer’s memory and enhance intelligence, and is often given as a 20th wedding anniversary gift. It is also the gemstone of the Zodiac signs Taurus (April 19th – May 20th) and Cancer (June 20th – July 22nd), which both have several birthstone alternates. When most people think of jewelry, the first thing that comes to mind is a girl’s best friend – the diamond. It’s not without reason; the diamond is one of the most unique gems due to its several uncommon characteristics. The mineral, produced from exposure of carbon to high heat & pressure and thus creating the structure known as the diamond lattice, is the hardest substance known thus far and is ranked 10, the highest rating on the Mohs scale. The term diamond is derived from the Medieval Latin diamantem, from Latin adamantem, and Greek adámas, meaning ‘unbreakable’. Because of its strength, it is highly coveted as a symbol of everlasting love, as well as for use in industrial settings, such as glass-cutting. While the stunningly refractive, colorless versions are widely sought after, diamonds come in several colors, known as fancy diamonds, and include purple, green, pink, yellow, and many others which tend to be rarer and therefore more expensive. Gemologists rate diamonds on a scale of what is known as “the 4 C’s” – carat, clarity, color, and cut. The cut of a diamond is notably meticulous, and the hardest to judge due to the many factors that go into determining value. As they are a symbol for long-lasting love, diamonds are typically given as a 60th wedding anniversary gift, and is thought to attract abundance and strength to the wearer. It is also the gemstone associated with the Zodiac sign Aries (March 20th – April 19th). Aquamarine is actually a variety of the cyclosilicate mineral known as beryl. The term beryl originates from berillus – beryllus, a Medieval Latin term given to gemstones that are faintly green in hue. While beryl itself is usually colorless, iron present in the mineral can yield the familiar greenish-blue color that ranges from pale-blue to a deep teal that you see in aquamarine stones. Lighter shades are more common and can sometimes be mistaken for topaz that can also be azure in color. Aquamarine gemstones that are dark blue in color are known as Maxixe Beryl; however it is important to note that many gemstones on the market today are color treated to produce a more richly colored hue. Aquamarine bodes well with numerous cuts, making it ideal for many different types of jewelry. It rates from a 7.5-8 on the Mohs scale of hardness, and is frequently given as a 19th wedding anniversary gift. When it comes to lore, aquamarine is dense with the idea that it can give the wearer a sense of well-being, and was thought to protect sailors who were at sea. It is the stone assigned to the Zodiac Scorpio (October 23rd – November 21st). Amethyst is one of the more widely known and available gemstones today, but that does not mean it is without elegance. It is a member of the quartz family and is found in several different hues of purple, including lavender, plum, lilac, and deep violet. Typically the darker the gem, the more coveted it is – though some may agree this is purely personal taste since amethyst is so common. While there are many different hues of amethyst – it is only considered amethyst if it is purple. Therefore, the term green amethyst is incorrect; quartz that are green in color have their own separate names. The amethyst has a vitreous luster and has the same hardness as quartz on the Mohs scale – a 7. The term amethyst is derived from the Greek word amethystos, meaning ‘not intoxicating’. In antiquity, a piece of jewelry containing amethyst was worn while drinking in order to deter the possibility of becoming too inebriated. Today the stone is associated with healing & happiness, and can be given as a 6th wedding anniversary gift. It is also the gemstone assigned to the Zodiac sign Pisces (February 18th – March 20th). For centuries, people have been in love with this gemstone for both its beauty and lore. The term garnet is derived from a 14th-century Middle English word gernet, meaning ‘dark red’. Gernet descends from the Latin word granatus, meaning to have many seeds or grains. What fruit has many seeds that could resemble small garnets? The pomegranate! The distinctive blood-red gemstone that is most commonly used in jewelry making is known as Pyrope garnet. While certainly most people think red when it comes to this vitreous stone, which is comprised of several different minerals, it actually comes in many other shades in addition to its deep red color. Purple, orange, black, and even some rare forms of garnet are colorless. The transparent green garnet known as demantoid is extremely valuable & revered for its beauty. Due to each variety of garnet being composed of various chemical compositions, their hardness can range between a 6.5 to 7.5 on the Mohs scale. In terms of lore, the garnet is known as a symbol of passion and friendship. A garnet gemstone can be given, by means of jewelry, as a 2nd wedding anniversary gift. It is also associated with the Zodiac sign Aquarius (January 19th-February 18th).